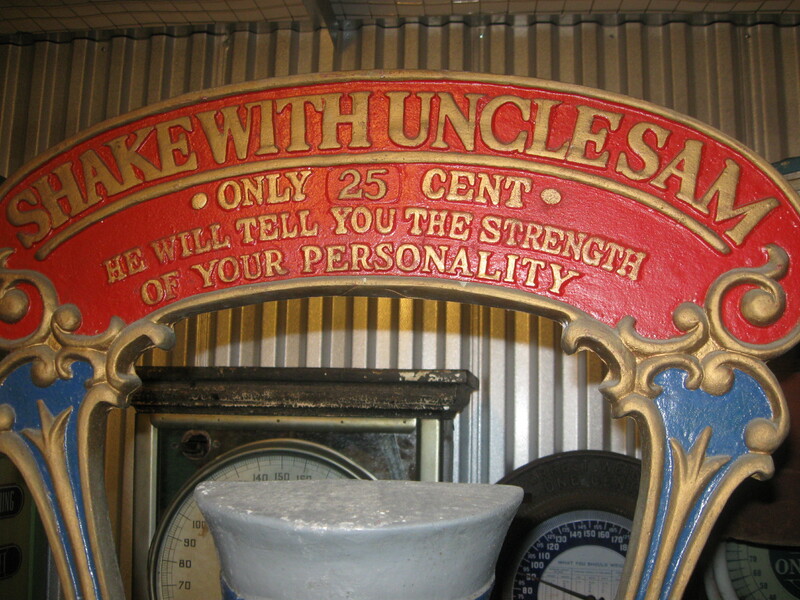 Uncle Sam Personality Tester Arcade Machine. 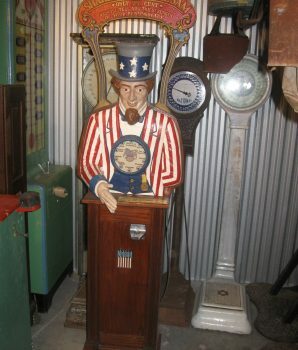 To play, insert a quarter in the coin chute, push it in, and shake Uncle Sam’s hand. The lights on chest plate rotate for a short while and stop on a light. Read the lighted selection to test your personality. The excitement and game play is an excellent income producer if you desire to use this in a business operation. It is also fun for the entire family and looks impressive in a gameroom. All patriotic Americans want to shake hands with Uncle Sam. 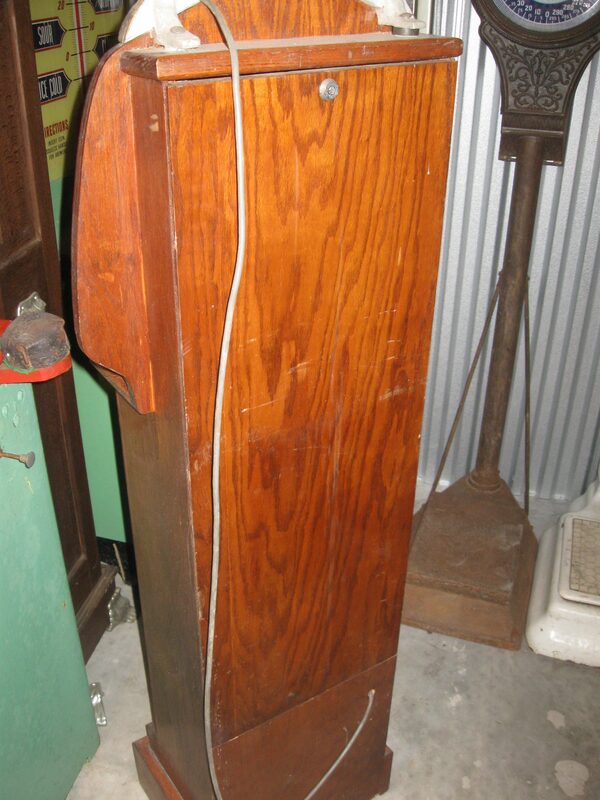 This classic personality tester was taking in quaters at arcades for many years. 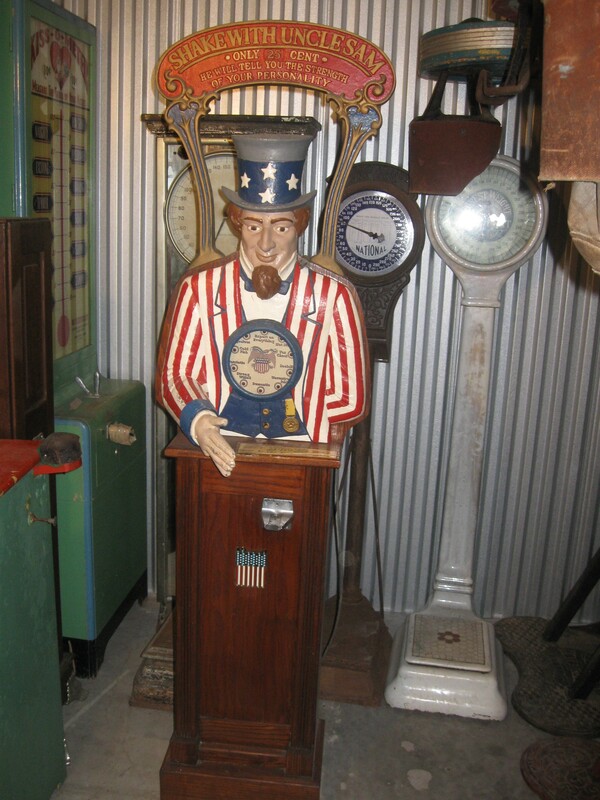 Uncle Sam stands over six feet tall and is made of enameled iron mounted on a quartered oak cabinet. 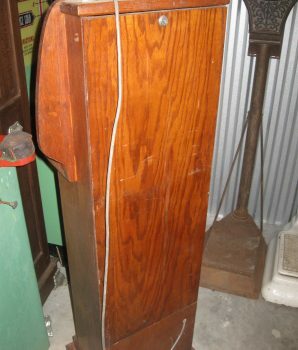 Copied by the International Mutoscope Co. in the 1920’s and privately in 1978, the machine was first produced by the Caille Brothers Company around 1908. 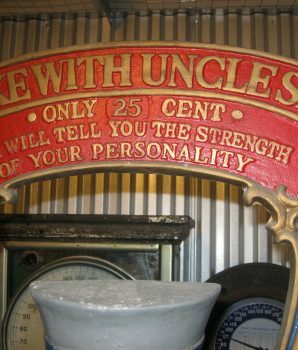 This is an oak replica of the 1908 Caille Brothers Uncle Sam Personality Tester. A sturdy machine, it combines an oak, wooden base and heavy aluminum metal castings for the body and marquee.